It was wild fantasy back in 1973 to believe we could build a bionic person with artificially enhanced vision and the strength and speed of Steve Austin, the title character of The Six Million Dollar Man. According to the TV show, Austin’s prosthetic eye could zoom on command and possessed infrared vision. His bionic arm was capable of bending steel bars, and his legs allowed him to chase down (and catch!) speeding vehicles. Looking back, the biggest fantasy is that we could get all that for just $6 million. Today, bionics and prosthetics are transforming the real world in ways unimaginable in the ’70s. For example, artificial hearts are keeping patients alive until transplants become available; cochlear implants are restoring hearing to the impaired; bionic eyes are beginning to restore sight to the blind; and numerous prosthetic hands, arms, and legs are restoring mobility to thousands around the world. Yet there still are more than 90,000 people waiting for kidney transplants, more than 16,000 waiting for livers, and more than 1,500 waiting for hearts. “The shortage of organs for transplantation is a public health crisis. The gap between the current state of the art and the technology needed for cryopreservation is one that an orchestrated effort between cryobiologists and mechanical engineers can bridge,” writes Yoed Rabin, a professor of mechanical and biomedical engineering at Carnegie Mellon University, and Jedediah Lewis, chief executive at the Organ Preservation Alliance. Their article in this month’s issue, “Organ Banking,” tells how mechanical engineers are pushing the boundaries of cryopreservation of human tissues. Researchers are tapping heat transfer, solid mechanics, materials science, nanotechnology, computer modeling, and other engineering disciplines to better preserve donated tissues and organs. In August, ASME and the Organ Preservation Alliance are co-organizing a summit in Boston to address those challenges. Bioengineers and biomedical engineers are broad fields that comprise areas of biology and engineering. The two are amalgams of each other. Biomedical engineers solve medical and biological problems and design health-care technologies, including medical devices and implants, diagnostic procedures and therapeutic approaches. Bioengineers focus on pharmaceutical, medical devices and implants, biotechnology and tissue engineering. ASME has been involved in these areas for years. 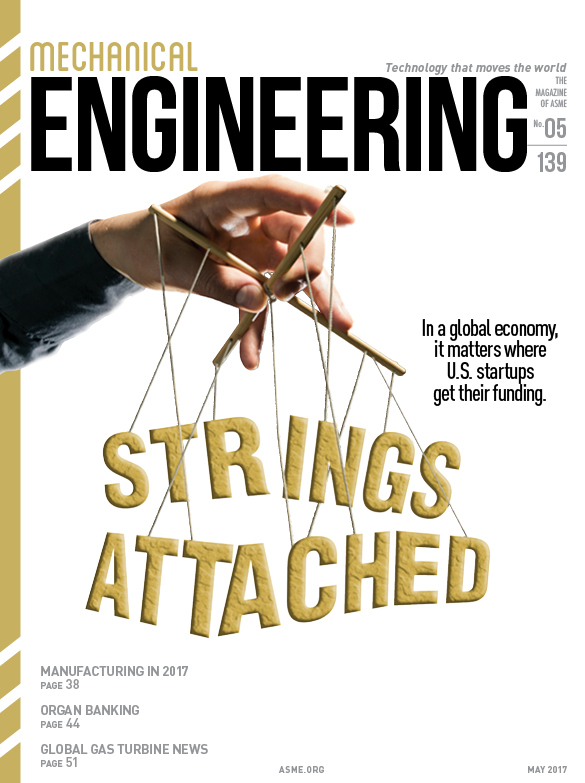 The Society’s Bioengineering Division, for example, has focused on the application of mechanical engineering principles to the design, development, analysis, and operation of biomechanical systems. The ASME Journal of Medical Devices publishes papers focusing on medical devices that improve diagnostic interventional and therapeutic treatments. Now, ASME has developed the Alliance of Advanced BioMedical Engineering, an online content-delivery platform that bridges the gap between research and industry. As the platform grows it will include professional and networking resources aimed at helping engineers be better positioned to work in this burgeoning area. In sharing industry best practices and trends among life scientists, engineers and medical doctors—as well as by showcasing the advanced work of researchers—AABME will support and advance the industry by helping stakeholders stay on top of emerging technologies. Ultimately, the goal is to positively impact the patients who rely on the expertise of biomedical professionals. And who knows, this alliance may even help create the first bionic person.